She was a Nobody, a woman of little or no face. We don’t know her name, just a Woman of the City, a Sinner — of probably sexual sin because women who lie or are envious aren’t called sinners in the same way. The parting crowd would avoid her as she made her way toward Jesus. Was she a prostitute? Were her parents so poor that they sold their child into prostitution? Had she been raped and so defiled to be unmarriable? Perhaps she was a refugee, a by-product of Rome’s ravenous appetite for conquering one land after another? No woman chooses to be a Woman of the City, a Sinner. At a seminar I attended on the spiritual practice of confession, the speaker declared that confession is the gateway to grace. It sounded like bad news to me. How could admitting failure be the gateway to grace? How could admitting failure be the gateway to grace? As he asked us to imaginatively enter the Luke passage — a familiar story I had read multiple times — I thought, “No problem. I’m familiar with the passage and the practice.” Unsuspectingly, I cracked open the pew Bible. And then I saw her for the first time. This Woman of the City, a Sinner — a Nobody that didn’t belong in the room — washing with her tears, kissing and anointing, Jesus’ feet. Her not belonging and condemnation circulated in Simon’s unspoken thought: “If this man were a prophet, he would know what kind of woman is touching him. He would know that she is a sinner.” Yet, she walks into a judgment-filled room and acts as an empowered agent, loving Jesus lavishly, vulnerably, and courageously. My attention was riveted. As a leader, I had walked with God for decades. I had cultivated obedience and duty. If God had wanted me to walk into such a room I would have done it. But to do it with lavish love and freedom that Nobody displayed? That I couldn’t do. I couldn’t imagine how or why she could do that. A wordless yearning awakened within me. Immediately, an image emerged. A tall judge’s bench appeared with clouds clustered about it. My head dropped backward to search for its top. Peering down at me was a silent and stern man. 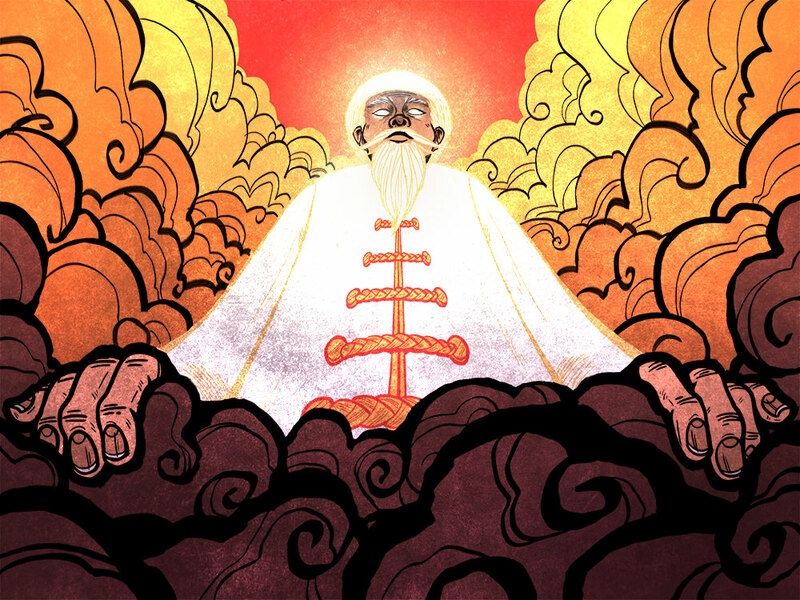 Disappointment alternated with condemnation on his face as he handed to me a grade of F. This man was my heart’s picture of God: a Chinese patriarch who held me to high standards that I occasionally met but more often did not. While my head knew the truth of God as loving, merciful and gracious, my heart did not. As a Christian, I had worked hard to be obedient and dutiful. Duty is about obeying the power structure. Trust is completely different. Trust is an act of vulnerability and possible only when you believe someone is for you. The silent disappointment, or worse, condemnation that was present in my heart’s picture of God disqualified him as someone who is for me. My distrust in Him was exposed. Incredulous but with the ring of truth echoing deep inside, I put my head down and wept, reckoning with my heart’s picture of God as a Chinese patriarch judging me for anything less than perfection. After decades of being a Christian leader, how could this be? God had led me into a deep heart confession. Would a gracious gateway appear? 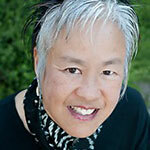 Nina Lau-Branson is a spiritual director working with individuals and groups. She pioneered InterVarsity Christian Fellowship’s Asian American student work as their first director. She is currently working with Fuller Seminary, the Free Methodist Church, and other organizations in spiritual formation and leadership coaching. 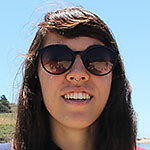 Alycea Tinoyan is a Los Angeles-based illustrator and designer, cat mom, and adventurer. Influenced by comics and cartoons growing up, her illustrations address raw emotion through expressive lines while using nature and animals as metaphors for the duality of man. Her works tend to be narrative-based and often focus on a wistful protagonist.